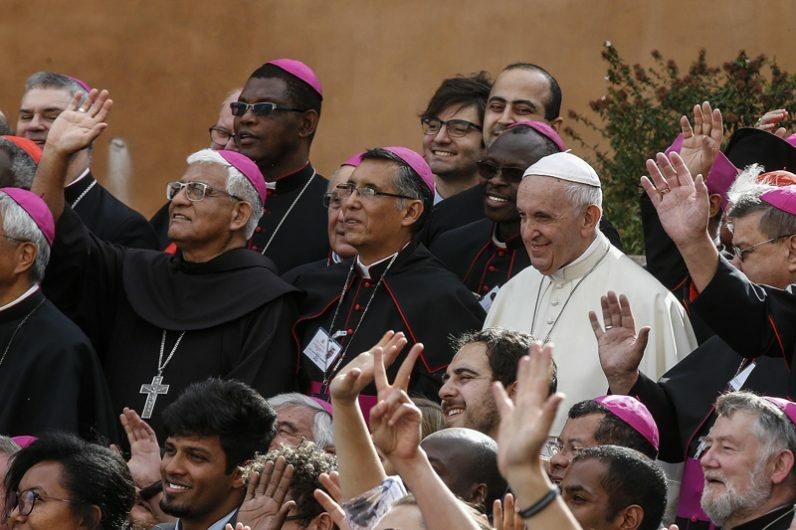 VATICAN CITY (CNS) — As the Synod of Bishops finished its work, Pope Francis called on all Catholics to defend the church from those who are influenced by the “great accuser” seeking to destroy it. While in some parts of the world, Christians suffer persecution because of their faith in Jesus, there is “another type of persecution — continuous accusations — in order to dirty the church. The church cannot be dirtied. The children, yes, we are all dirty, but not the mother. Therefore, this is the time to defend the mother,” he said.